New York Fashion Week is in full swing, and designers, models and fashionistas are abuzz with excitement about the latest trends. Throughout history, fashion has greatly influenced societies and cultures and has now turned into an international multi-billion dollar industry. According to the US Bureau of Labor Statistics, in 2010, US households spent on average $1,700 annually on apparel, footwear and related products and services—3.5 percent of average annual expenditures. If you have an eye for design and fashion, check out these careers that can help you turn your passion into a living. What you’ll do: Fashion models help advertise a variety of products — clothes, shoes and accessories. They pose for photo shoots for magazines, catalogs, store fronts and billboards. High fashion models walk the runways during fashion shows, presenting designer apparel to an audience that can include celebrities, fashion magazine editors and store buyers. What you’ll earn: Although you may have heard of high fashion models that make millions a year, the median hourly wage for models in the US is estimated at $9.02 an hour or $18,750 per year. In addition, certain perks could include free clothes and access to industry events. Degree you’ll need: There are no formal education requirements to become a model, but some aspiring models choose to enroll in modeling school where they learn how to pose, apply makeup, walk the runway and other basics. To snag a gig, you’ll have to build a portfolio of photos and submit it to fashion agents. You will also have to attend auditions and open calls. What you’ll do: Fashion designers create original clothing, shoes and accessories. They draw sketches of their design ideas, select the fabrics and patterns and oversee the product creation process. What you’ll earn: The median pay for designers in the US is $30.22 per hour or $62,860 per year. Degree you’ll need: Fashion design or fashion merchandising. You’ll learn how to sketch, select fabrics, apply different design techniques and use design technology. Some schools also include fashion business training to help designers start their own business. What you’ll do: Purchasing managers and buyers work for department stores, boutiques or online retailers and purchase merchandise directly from designers and fashion labels. They attend meetings, trade shows and conferences, connect with suppliers, evaluate merchandise and negotiate contracts. What you’ll earn: The median pay for purchasing managers/buyers is $29.11 per hour or $60,550 annually. Degree you’ll need: A bachelor’s degree program in business or economics with some accounting classes. What you’ll do: Fashion photographers take promotional photos of models wearing fashion apparel. These photos are then used in magazines, catalogs, ads and even on billboards. 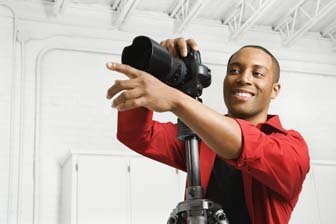 What you’ll earn: The median pay for photographers is $13.70 per hour or $28,490 per year. The top 10 percent of photographers can make more than $32.21 an hour. Degree you’ll need: Photographers don’t need a formal degree, but taking photography classes to develop your creative eye and technical skills is helpful. Check with your local university, community college or vocational–technical institute for any photography classes that they may offer. What you’ll do: Art directors create the visual styles of fashion magazines — think the glossy pages of Vogue, Elle and Glamour. They create the design and layout for these magazines. What you’ll earn: The median pay for art directors is $38.88 per hour or $80,880 per year. The top 10 percent earned more than $162,800 annually! Degree you’ll need: Art directors need at least a bachelor’s degree in art or design and, of course, industry experience. Vote: Would You Drink Less Soda If It Cost a Lot More? I wanna be a model. But i thought they made more then that. fashion is great even if your handy caped!!!!!!!!!!!!!!!!!!!!!!!!!!!!!!!!!!!!!!!!!!!!!!!!!!!!!!!!!!!!!!!!!!!!!!!!!! Honestly, when it comes to how much the fashion designers, and photographers, and art directors, etc. don’t get paid enough. I mean sure, it pays well, but $13.70 an hour? That’s pretty close to minimum wage, which is only about $9, $10 and hour. And usually, photographers don’t really work 12 hours a day, do they? And even if the top 10 percent earn up to $32.21 an hour, what about the other 90%? I THINK IT’S GREAT!!!!! we should have Fashion week in East Moline!!!! that would be fun, I would be a designer and Tom Hanson, Arielle Hixson, and Maggie Ruilli should be couple of the models!!!!!! YAY ME!!!!!! !